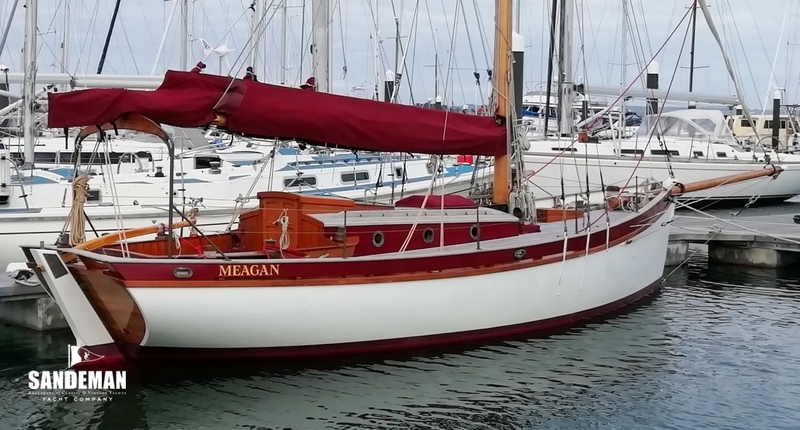 MEAGAN is the second of three 30 ft gaff cutters from the board of the late Ed Burnett in association with Nigel Irens; a sister ship to ZINNIA (which completed an Atlantic circuit) and FOXHOUND, both of whom have achieved great success in gaffer races. She embodies her designers’ renowned flair for borrowing from good old ideas and style, adding modern technical and materials knowledge, and topping it off with a hard to define but easily discernible eye-sweet aesthetic flair - both externally and internally. 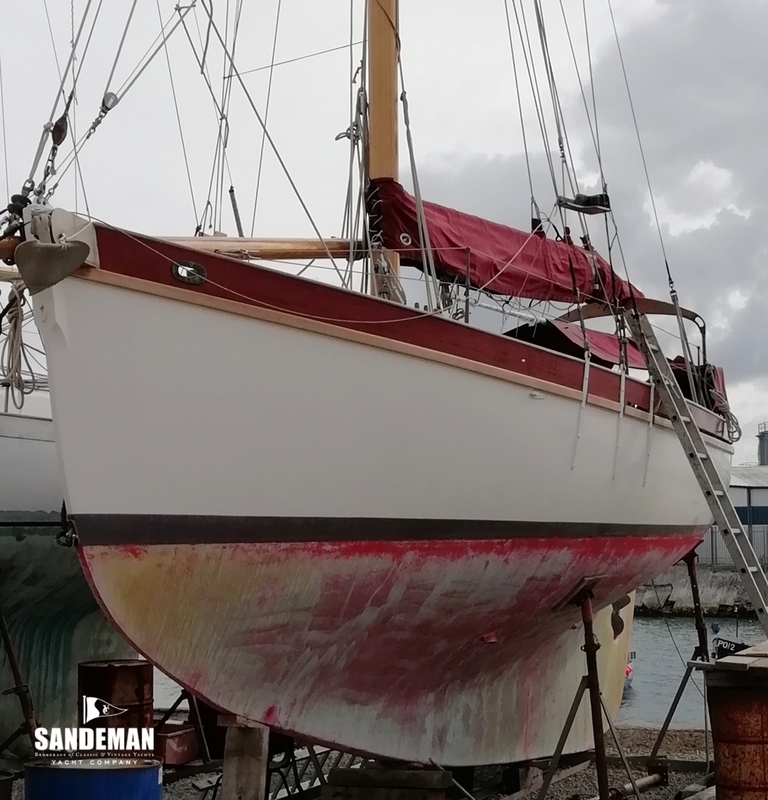 Few traditional yachts of this size can be so comfortable both at sea and in port – and be so relatively easy to maintain. After 13 years of ownership I am still as taken with MEAGAN and her aesthetic charm as I was when I first saw this lovely vessel. 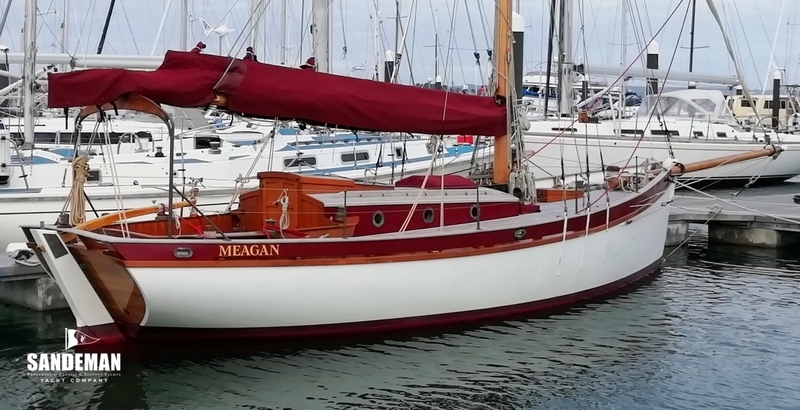 MEAGAN was launched in the year 2000 at Weymouth, Dorset, after a two year full time build by the original owner and a local time served shipwright. She was sold to the current owner in 2005. 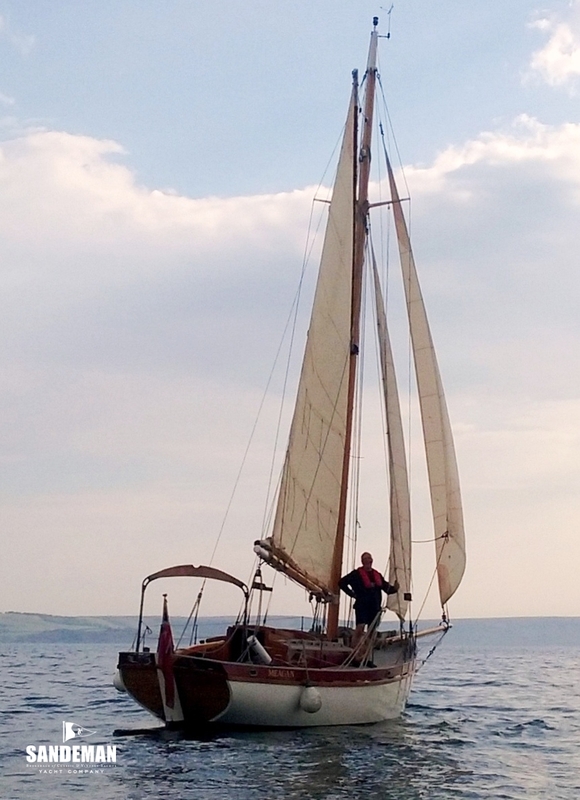 Since then MEAGAN has been lightly used for day sailing and exploring the Dorset coast. She was one of the boats used in the rescue scene in the Richard Curtis film ‘The Boat That Rocked’. There are two versions of the Burnett & Irons 010 design. MEAGAN is the “Structure A”, full 11 ring frames version, giving complete freedom with the internal layout as no bulkheads or other interior members are required for structural integrity.